75k and a cover reveal!! Here we are. We have finally made it to the 3/4 mark. It has been a long slow slog, a journey interrupted often by many upheavals in my life – the death of a grandfather, a proposal of marriage, TWO job changes, and kittens. Hopefully we can avoid any big events between now and the end of this manuscript, no matter how welcome many of those events were. We gotta get this thing done! Really, though, I cannot thank my readers, family, and friends enough for their support so far and for the prospect of their continued support. Writing can be very lonely. It’s meant to be, I suppose. But you all make it worth it. We are so close. 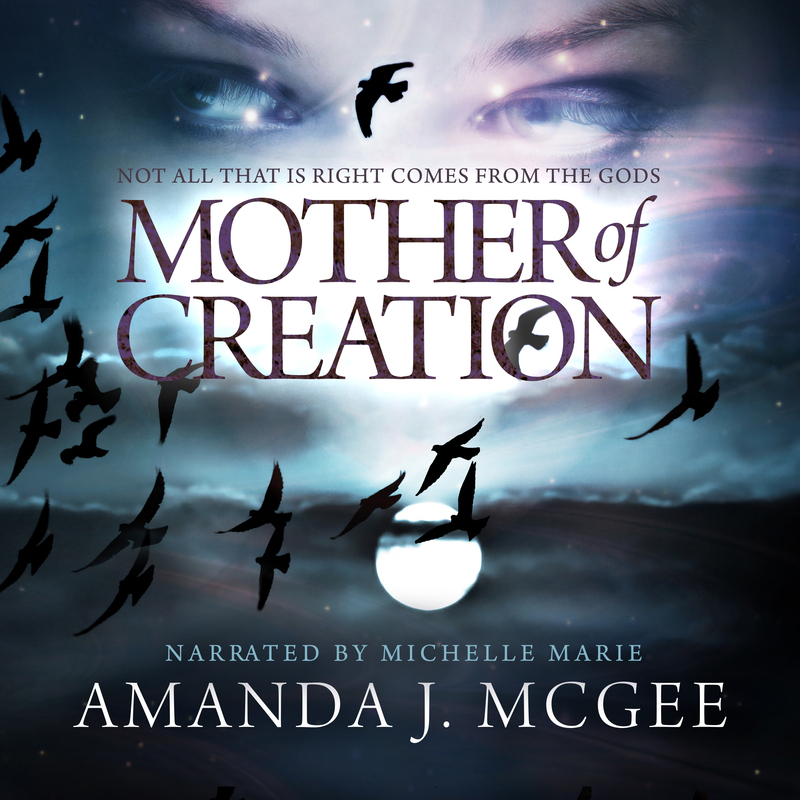 So, in celebration, I give you the audiobook cover for MOTHER OF CREATION. It is, I have to say, beautiful. I knew it would be. I can’t wait for you all to hear these words brought to life on October 1st. And I’m even more excited to deliver to you DAUGHTER OF MADNESS next year.